A smile makeover is the process of improving the appearance of a smile through one or more cosmetic dentistry procedures, such as teeth whitening, tooth re-contouring (Enameloplastry), composite bonding, porcelain veneers, implants and gum sculpting (Gingivoplasty). 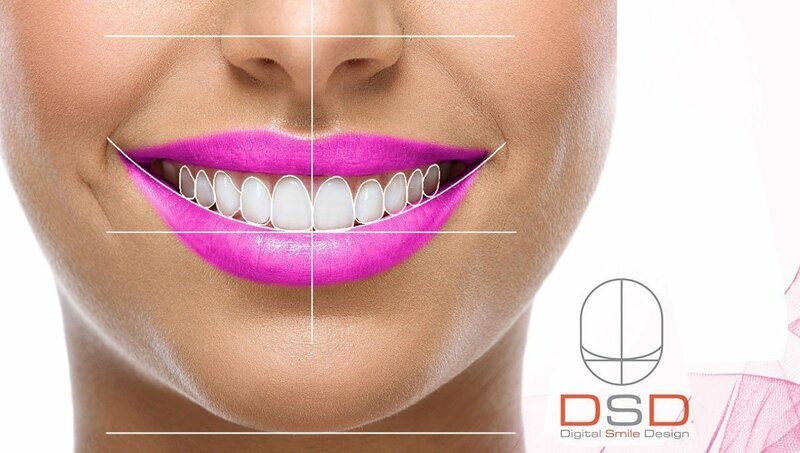 Guidelines regarding the creation of a perfect smile, are dictated by the DSD (Digital Smile Design) system, used at SMALTO Dental Clinic. Digital Smile System is a software that allows dentists and technicians to realize the digital project of the aesthetical and functional smile rehabilitation through simple and automatic tools. Following an intuitive and guided process, dentists are able to show the patient a preview of the prosthetic result. Particularly important is the shape, form, length and brightness of the teeth in relation to the gums and lip formation during smiling and laughing. This lip - tooth relationship is evaluated using the pink/white aesthetic score tool. For optimal results, the smile make over procedure, may be combined with gum sculpturing. In cases requiring more complex work, we make sure there is a thorough examination, a discussion and response to the patient’s queries and worries. We do suggest a panoramic X-Ray is done, to get a complete and accurate picture which will allow the right diagnosis and options for treatment before we proceed. For cosmetic dentistry, we suggest a full range of extra and intra oral photography, as well as a digital smile design analysis.